The Bell Witch Web Site is dedicated to preserving and celebrating the legend of Tennessees infamous Bell Witch by presenting useful and well-researched information pertaining to the John Bell family and their visitor. The sites owner feels that disinformation regarding the legend is abundant, and that you, the reader, deserve a historically-accurate account of this fascinating legend, absent the elements of myth, assumption, and hocus pocus. You are not being asked to believe anything, but only to review the information and draw your own conclusion. 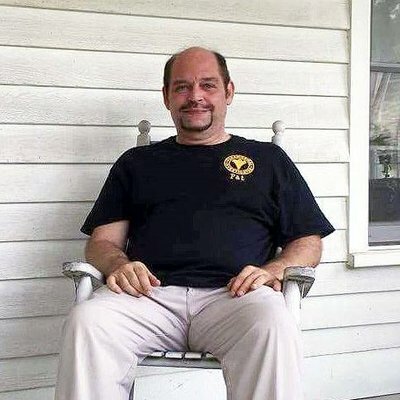 The Bell Witch Web Site is owned and maintained by Pat Fitzhugh, whose extensive research of the "Bell Witch" phenomenon covers three decades and has led him to countless public, church, military, and family records in five different states, as well as interviews with descendants, parapsychologists, and other experts around the world. His research has uncovered many little-known facts about the people, places, and events that comprise this epic tale of terror on Tennessee's early frontier. His interviews and written works on the "Bell Witch" have appeared in leading newspapers and magazines around the world, and he frequently lectures at conferences, seminars, and other events. Pat Fitzhugh has written two books about the "Bell Witch" legend: The Bell Witch Haunting and The Bell Witch: The Full Account. He also plays a role in A&E's TV series, "Cursed! The Bell Witch." He also has released a multimedia compilation of Bell Witch information, entitled "The Bell Witch Complete." He has been a contributing author of several publications, including "Weird US," from Barnes and Noble Press. He is interviewed on the DVD of the Hollywood motion picture, "An American Haunting," starring Sissy Spacek and Donald Sutherland. He has also appeared in productions aired by Fox Entertainment, The History Channel, The Learning Channel, Turner Broadcasting, and The Travel Channel, to name a few. Pat Fitzhugh resides in middle Tennessee. His mother, a sixth-generation Robertson Countian, was related to the John Bell family by marriage, several generations back. He has held elected public office and has been a member of the Robertson County Historical Society, Toastmasters International, and many other organizations. In his limited spare time, he enjoys road trips, photography, and fishing. He is also an accomplished guitarist and session musician, specializing in rock and blues. Read the story posted on this site, then visit the FAQ, Bios, Essays, and other sections for additional information about the "Bell Witch." Some radio discussions about the Bell Witch can be found here. Visitor comments and feedback will be sent directly to Pat Fitzhugh and will remain confidential. For booking information, click here. Thank you for visiting the Bell Witch Web Site. News Click here for the latest Bell Witch-related news. Books and Research Don't be left in the dark! Learn about the Bell Witch legend and the chilling history behind it by reading The Bell Witch: The Full Account. Click here for details. Signed copies available! If you like Southern hauntings and ghost stories, also check out Ghostly Cries From Dixie. Click here for details. Signed copies available! Events Click here for Pat Fitzhugh's upcoming interviews, lectures, and other events! Archived interviews may be heard here.